Senior State Department officials say President Trump has shifted on Syria withdrawal, now backs keeping troops in Syria 'indefinitely'. President Donald Trump has endorsed a major shift in policy in Syria, endorsing a plan which would retain American military assets in the war-torn country indefinitely, in part as a means of pressuring Iran to withdraw from the country. Earlier this year, the president had eyed a possible pullout from Syria. According to a report by a Lebanese newspaper, the US offered a full American withdrawal from Syria in exchange for an Iranian pullout from southern Syria. But now, a report by The Washington Post claims – citing senior State Department officials – that the president has accepted a new strategy which would see US forces remain in Syria for the foreseeable future. The US currently has roughly 2,200 soldiers – mostly advisers – deployed in Syria. The extended American deployment in Syria is part of a new plan to push for American objectives in Syria, including the removal of Iranian troops and the Iranian-backed Hezbollah terror group from Syrian territory. 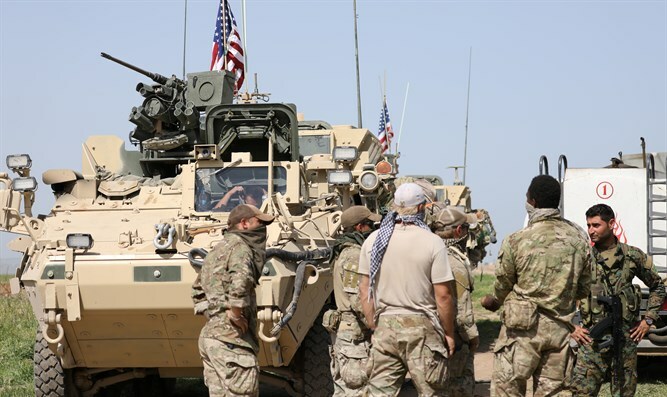 US forces had originally been deployed in eastern Syria as part of the broader effort to combat the ISIS terror organization. As the campaign against ISIS winds down, the president had five months ago backed a full withdrawal of American troops from the country. Now, however, the Trump administration has reportedly redefined the mission goal of the US deployment in Syria to include the removal of Iranian forces, as well as the establishment of a stable government in Syria.